Useful where 200 ft./lbs. or less torque is needed to loosen or tighten manway cover bolts. Handle is 24 in. wide with a 36 in. 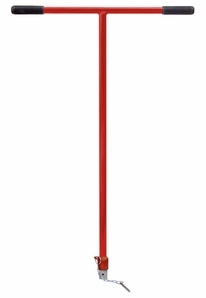 tall staff. Square drive: 1 inch. Safety chain with locking pin to secure socket to wrench.